James Hartel has been making and playing banjos on and off since 1973 when he made a banjo for his 2 year old daughter. She didn't learn to play that banjo until she was thirty, though, and by then, Jim had dug around enough in the history of American banjos to start making replicas of authentic minstrel banjos. Jim has had access to a vast array of surviving early banjos through the generosity of banjo history experts, collectors of early musical instruments, and museums. 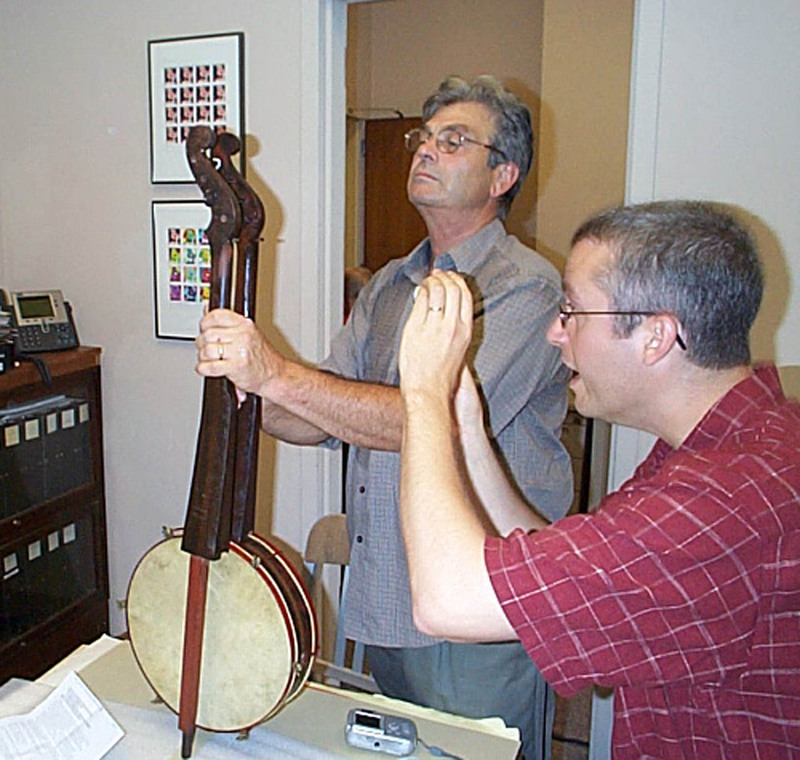 He has documented the exact dimensions, construction techniques and detailed characteristics of each individual instrument that he replicates. Furthermore, he continues his research and fine tunes his banjos regularly so that they look and sound as much like the banjos of the early minstrel period as possible. "Jim Hartel was one of the banjo makers selected for the North American Banjo Builder Series. The Series is part of the Smithsonian Folkways "Instrument Builder" Collection . CRAFT IN AMERICA MUSIC episode. PBS premiere November 20, 2015.